This is their first album, released in 1986 and one of the best I might say. According to the duo, the album's title was chosen so that people had to go into a record shop and say "Can I have the Pet Shop Boys album, Please?". 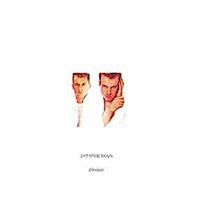 BEST OF: West End Girls - witch is also the first song I ever listened and loved from the PSB.